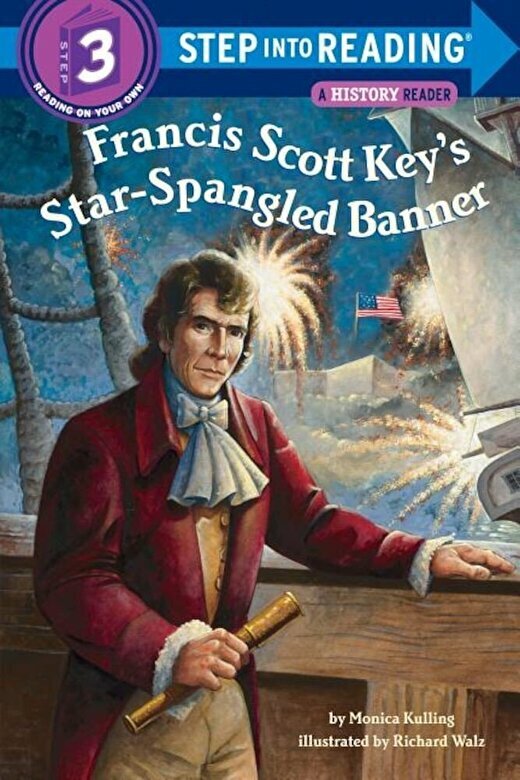 Francis Scott Key was a very busy man. He and his wife had 11 children. He was a lawyer and many people came to him for advice. But whenever he had a moment, he would jot down a line of poetry. He loved writing poems. When the War of 1812 broke out, Francis became even busier. He was well-respected and often called upon to help keep the peace as the war between the United States and England raged on. One fateful night Francis and his friend helped talk the British Navy into releasing a prisoner of war. But they couldn't return home just yet because the Battle of Fort McHenry was starting If the British captured the fort, America might very well lose its independence. Francis and his friends could only sit on a boat and observe the battle. For 25 hours they watched in awe. What Francis saw inspired him to write a poem that would become America's national anthem This Step 3 reader is perfect for children who are ready to read independently.